ISO shipping containers make durable and cost-effective temporary structures. 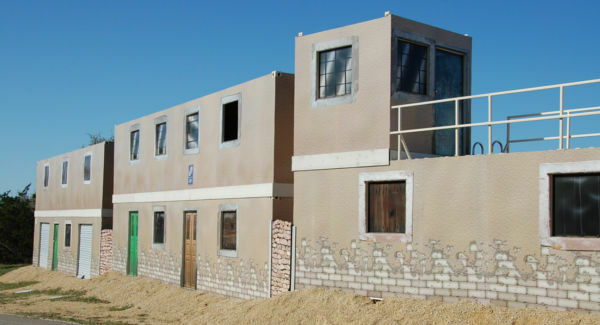 Whether they will be clear-spanned into After Action Review structures or stacked to serve as props in MOUT villages, placing modular container structures on your site is almost always faster than building with brick and mortar from the foundation up. 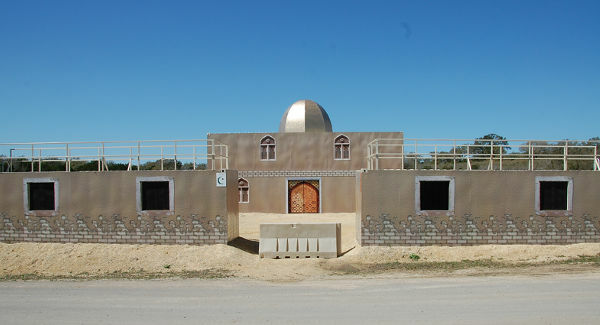 Non-live fire and live fire war-fighter training buildings. After Action Review (AAR) structures. Urban Operations Training Sites (UOTS). Counter Improvised Explosive Device (IED) training lanes. Mobile Military Operations in Urban Terrain Training (MOUT) villages that simulate conditions experienced by our deployed troops. Building façades for enhanced realism. 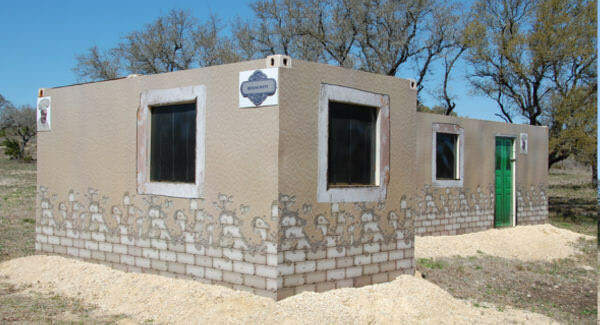 Since its inception in 2003, Falcon Structures has worked with the U.S. Military to create modified container structures. We have the manufacturing capacity to produce and deliver modified shipping containers on time and on budget for military use. Weather Resistance. Falcon has experience building structures with snow loads in mind. Durable. 25-year lifespans on average with minimal maintenance needed. Fast Deployment. When conditions permit, customers can place shipping containers directly on the ground without a foundation. Turnkey. Plug and play electrical and plumbing components included. Built-in Mobility. Easy to relocate around a job site or cross-country. Customizable. If you have a custom project in mind, tell us about it. Our boxperts will help you realize your vision. 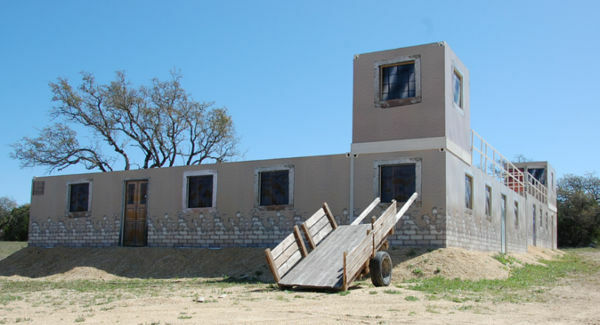 Thinking about using shipping containers for your training structure? Contact us at 877-704-0177 or sales@falconstructures.com.